The Makar Company is a faith-based organization that works with clients to create an environment for building religious life and community. With an average of 30+ years experience, all of our professionals focus on delivering quality construction solutions for each of our clients that are within budget, on time, and of the utmost quality. We understand that Pastors and Church Leaders don’t want to constantly think about their building program every day. With The Makar Company on the job, you won’t have to. When building or renovating a church or related facility, quality construction isn’t enough. 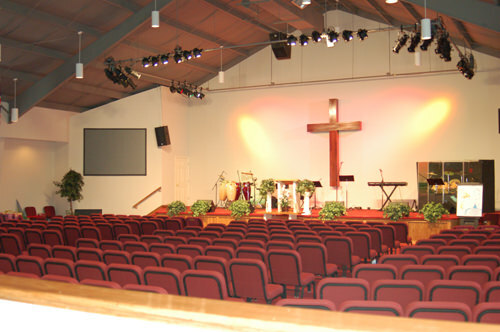 We understand the unique requirements of building a Place of Worship, and will work with you to meet and exceed your expectations. The Makar Company’s staff of construction professionals will organize and manage every detail of your project. By applying cutting edge technology and construction practices, along with faith and prayer, we will together achieve success. The Makar Company takes pride in the fact that our crews understand the reverence of the work site and treat it accordingly. Selecting an experienced and qualified General Contractor can be a daunting task, especially when it isn’t something you do every day. Every General Contractor talks about workmanship and quality, but it takes a special kind of partner to participate in building or renovating a House of Worship. The Makar Company is built on a strong Statement of Faith that continues to guide us in all we do for our clients. The Makar Company would be honored to speak with Church Leaders and Representatives to discuss how we can assist and serve the Church.